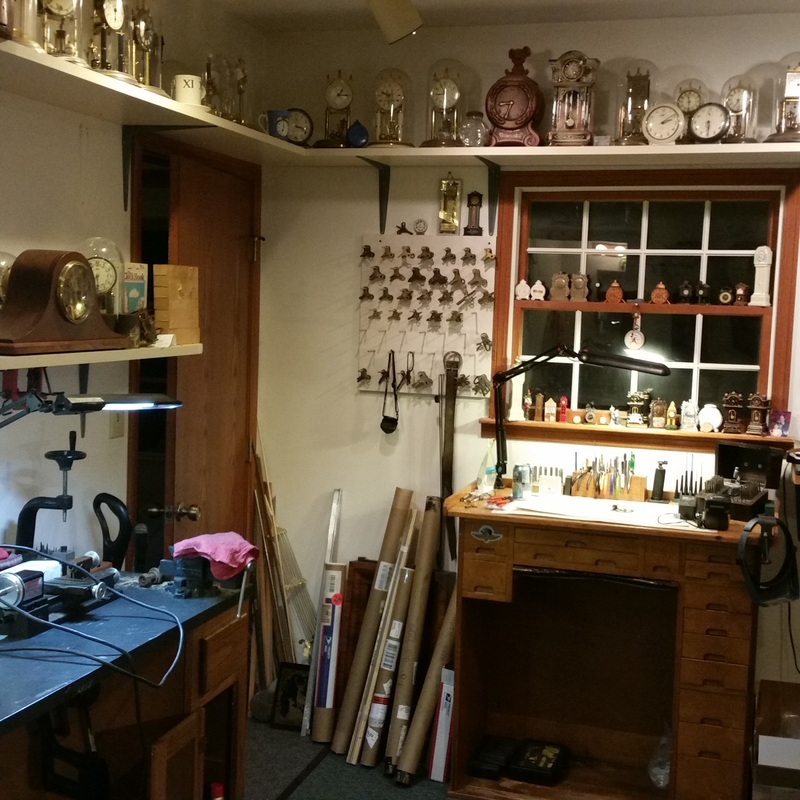 Welcome to my clock shop. My fascination with clocks began in the early 1990's when I inherited a few antique clocks that did not run. One afternoon I decided to tinker with one.. I was lucky that it was a simple problem and I was able to fix it and from that point I was hooked. Since then I have spent about 25 years learning to repair old clocks and acquiring the necessary tools although I doubt I will ever have all the tooling I want. 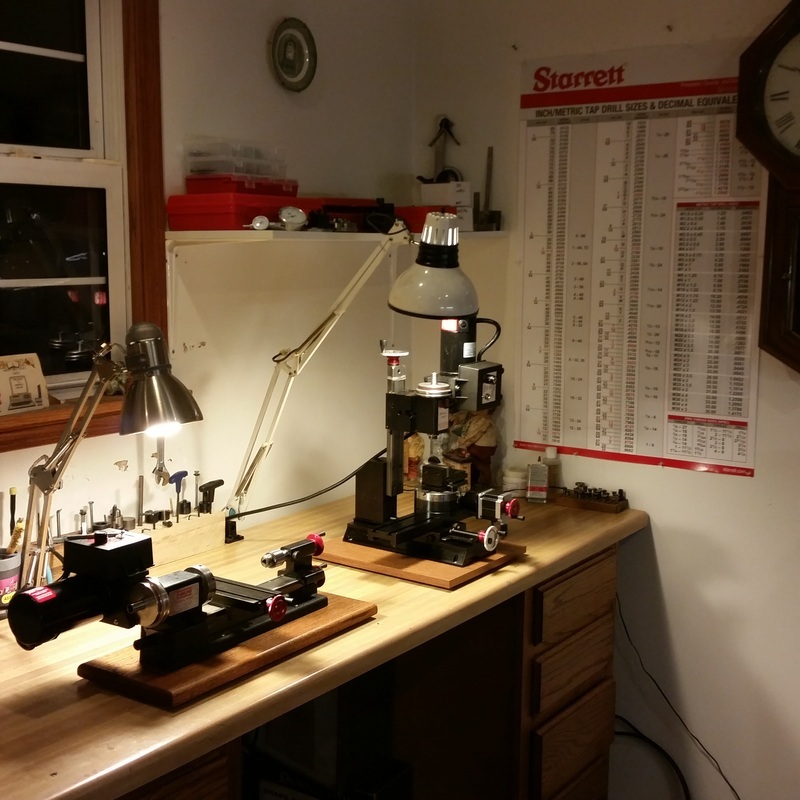 I have taken some AWCI clock repair classes in Harrison Ohio and have taken some NAWCC micro machining classes in Columbia Pennsylvania. I still repair clocks but my interest has evolved to making parts and doing repairs for other clock makers. 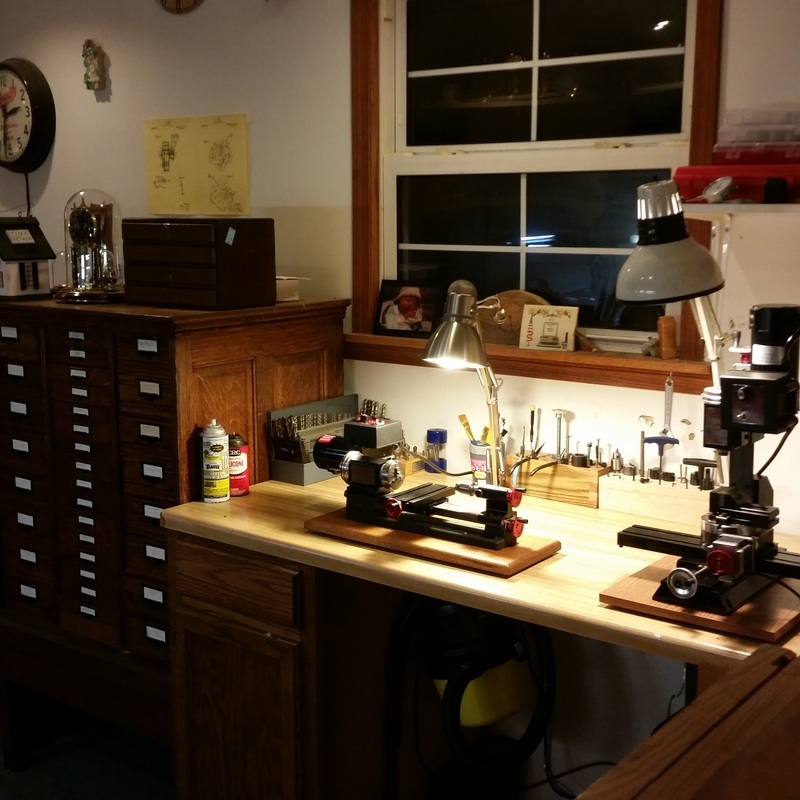 Since my retirement in 2010 I have been able to spend more and more time in my shop and have been able to concentrate on things that require more time. A couple of years ago I decided I wanted to build a simple movement from bar stock. 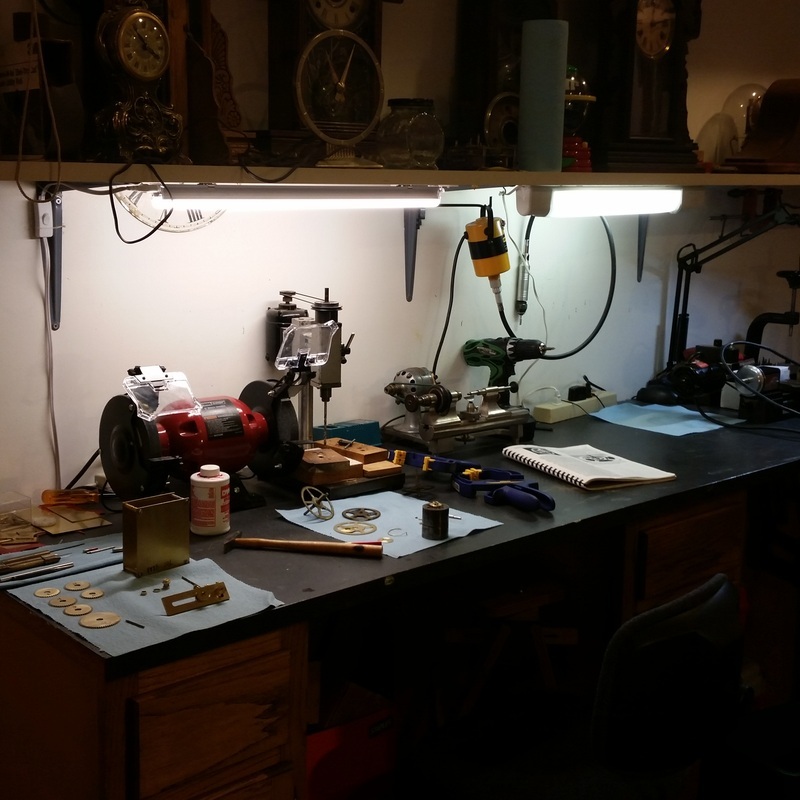 I thought I should document the process as best I could partly to be able to show my work to friends and family and partly because when I was learning clock repair I was always searching for any sort of visual instruction to help me. 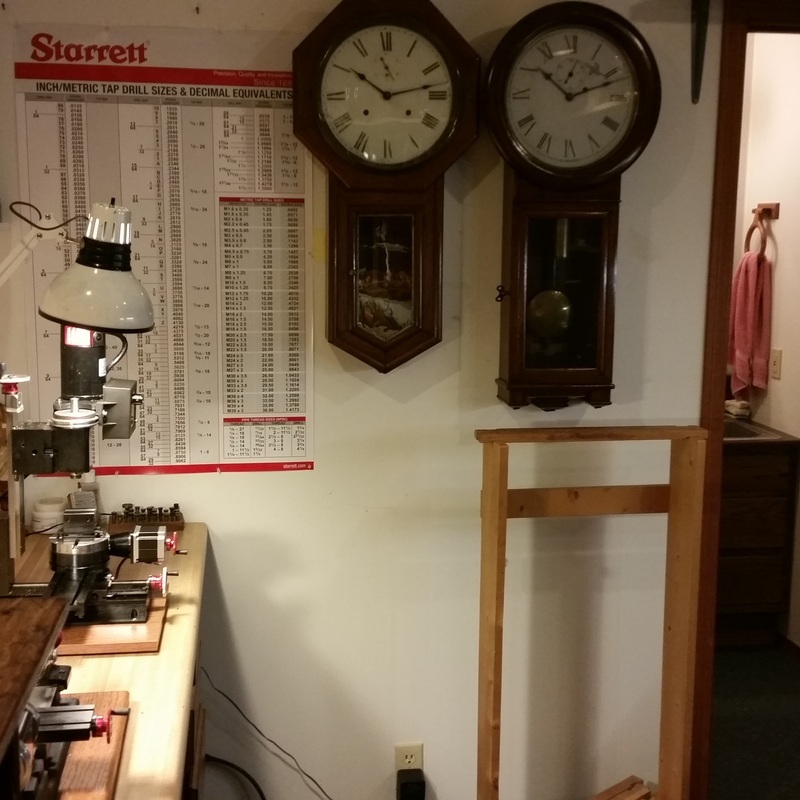 I have received quite a bit of positive feedback from the pictures and description of the clock movement I built and now have decided to document other repair procedures that might be helpful to someone that is just learning and might be a little intimidated by certain repairs. Please check back from time to time as I intend to keep adding interesting clock repairs in the future. 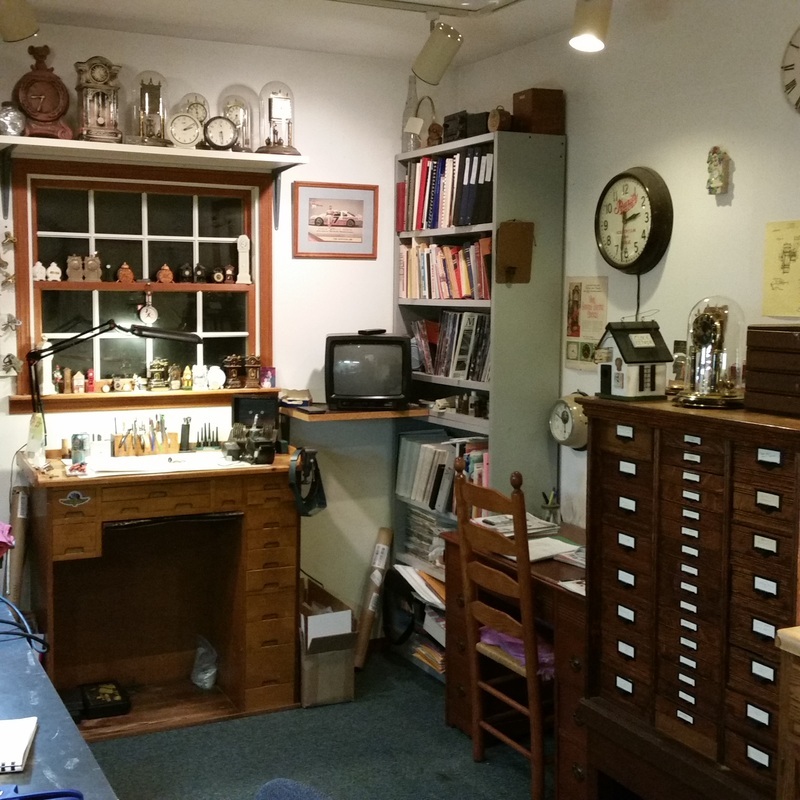 See my Services page if you are a clock enthusiast and find yourself facing a problem you may not have the tooling to repair. Thank you for stopping by and feel free to contact me with any questions. Below are a few pictures of my shop. Click on any picture for a larger image.